6.25 in Blade with off-set teeth in hardened, plated steel for corrosion resistance. Handle made of molded ABS plastic. Closed length of 8.25 in. Removable blades for easy cleaning. 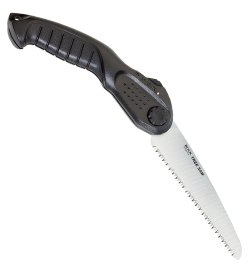 Folding camp saw.